Musicians and entertainers come and go. Great entertainers and communicators touch the heart, the soul and will live with us long after their passing. 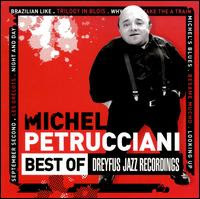 Michel Petrucciani embodies that marvelous combination ever time he sat down to play the piano. Michel was born with a bone disease which also contributed to stunting his growth - But this did not stop him from recording over two dozen albums and becoming one of the most entertaining live performers of the last 25 years. A delightful mixture of fun and technical brilliance which at times brings to mind a young Bill Evans, Michel Petrucciani is greatly missed on the jazz scene. He had worked with such legendary performers as Lee Konitz, Jim Hall, Stephane Grappelli, Joe Lovano and Wayne Shorter to name a only a few. His music connected with people immediately and you could feel the emotion and vigor in every note. For many who may not be familiar with him, you should check him out. We are lucky enough that while he has huge catalog of releases, two of the labels he recorded for have made available two well developed compilations which together give a good overview of his superior talent at the piano. Both The Best Of The Blue Note Years and The Best Of Dreyfus Recordings are available online from J and R in New York. One additional recording that even if you bought as your first, you would still find satisfying will be The Complete Solo Live In Germany (2CDs; Dreyfus Recordings). ...Live In Germany is a defining moment for Petrucciani. To me, it's one of those albums that solidifies an artist among critics, fans and musicians. 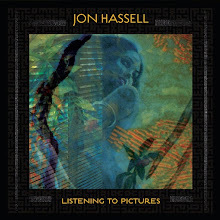 These three albums would be all you need if you choose to go no further, although I would highly recommend that you do. Here are two wonderful videos showcasing one of the greatest entertainers of the last two decades. I think you will enjoy them as much as I do. To many, the name Ramon "Mongo" Santamaria will mean nothing. But you have heard his music for years. The famous John Coltrane piece "Afro Blue" was written by Mongo. Ramon "Mongo" Santamaria was a monster on the drums. Another true entertainer who is dearly missed. His infectious blend of jazz, Latin and R&B yielded a career spanning almost 4 decades. At a time when Latin jazz was not reaching the radar of music executives as well as the public, Mongo proved to them all that their was an insatiable desire for percussive driven jazz. And with that Mongo would conquer America and the world. All this before Carlos Santana was even signed to Columbia Records. For anyone even remotely interested in Latin jazz you should look no further than starting with a Mongo Santamaria album. 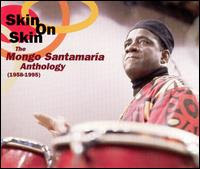 I would recommend two albums that are still widely available Skin On Skin (2CD Anthology; Rhino Records) and Afro American Latin (Columbia/Legacy). Skin On Skin covers his entire career and is well worth the money. Afro American Latin covers three very early albums he did for Columbia but do present the direction in which Mongo would eventually explore. The dazzling and contagious beats coming from your speakers will keep you grooving for days to come. Then seat down on your next listen and really let the music sink in and you will understand his pure genius and wonder why he didn't receive more adulation that he surely deserves. Mongo Sanatamaria was another true entertainer but also a pioneer for Latin jazz. Here's a burning set from 1985 included Tito Puente and Max Roach performing "Afro Blue." now that my friend was a rare experience indeed! I've never really listened to jazz properly before, but I thought that was amazing.. Those musicians have got some pretty crazy tallent goin on.. And some of those rythms are awesome. Cheers!